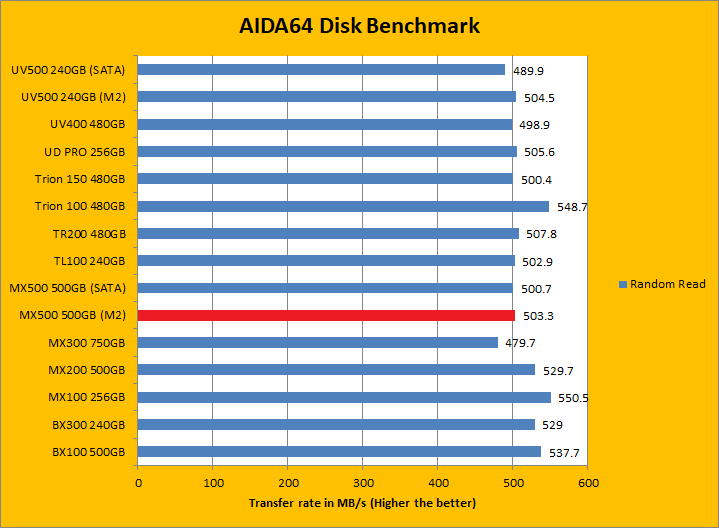 Since our SSD review benchmark results are presented in alphabetical order, first up on the list are results from one of our favorite benchmarking programs, AIDA64 Engineer. 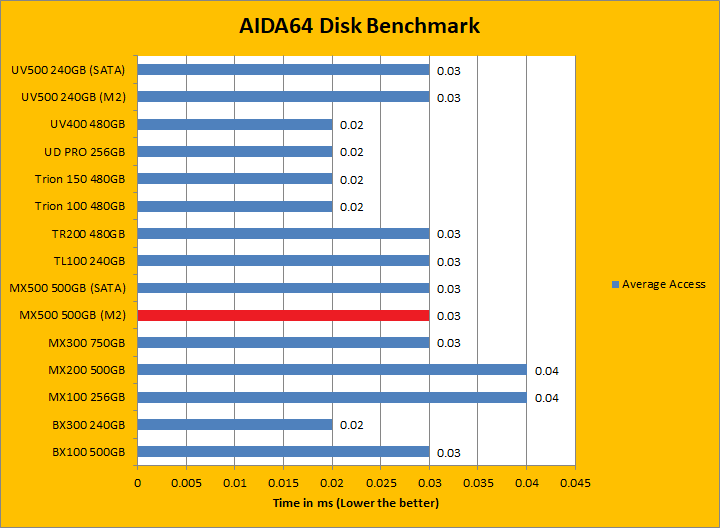 Just to note, AIDA64 Engineer is a full synthetic benchmark. Unlike full synthetic motor oil, this usually does not always carry a good connotation. While it is not a representation of real life performance -- such as how fast Photoshop opens -- it does provide valuable insight into performance between different drives and different controllers. 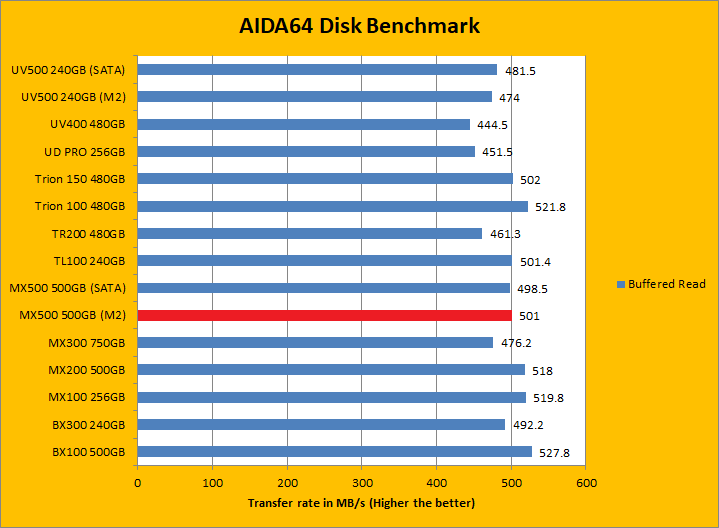 As you can see in our graphs above, the Crucial MX500 500GB consistently outperformed the MX300, but still trailed the BX300 and MX200. 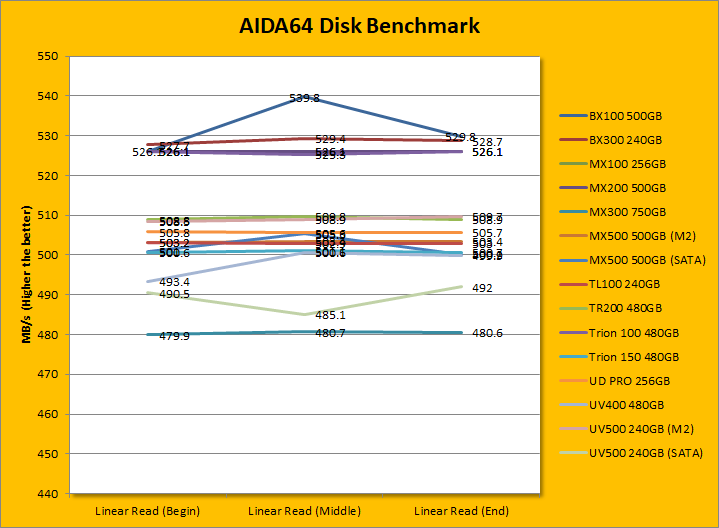 The M.2 version also slightly outperformed the 2.5" SATA version. Compared to these budget oriented drives in the category, the MX500 was within the ballpark. The tested random access time was 0.03ms, which is among the lowest we have ever seen. The rest of the comparison results against all the other drives can be seen in our graphs above.